Like most history geeks, I long dreamed of living in an old house. It didn’t happen, and that’s OK. If life had led me to purchase an old home, though, I’m sure of one thing: I’d buy one that was in fairly good shape. Thankfully, everyone doesn’t feel the same way. 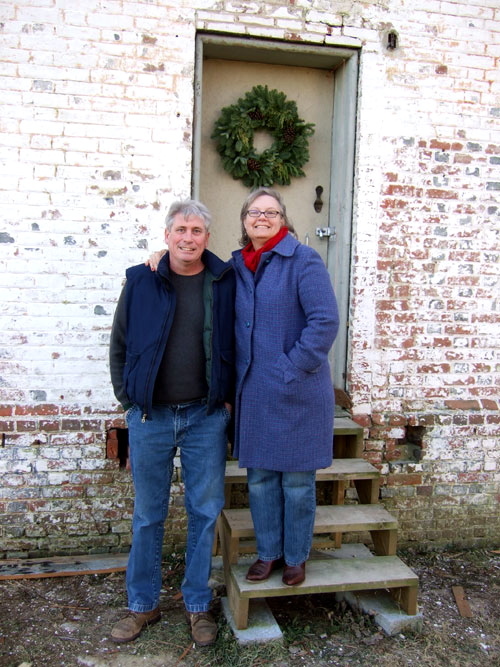 While traveling over the holidays, I had the opportunity to see the incredible structure that two of my in-laws, Robert and Ann, are restoring on Maryland’s eastern shore. The structure is in very rough shape today. Much of the land around it has been developed. This property was slated for the same fate. Before that could happen, Robert and Ann purchased the property. The transaction took place in cooperation with the local historical society. 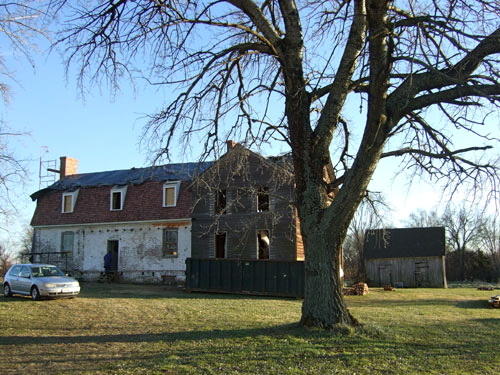 Providence Farm was a miller’s home built in 1746. The wooden portion was added about 1900, and the home was occupied until 1980. The tree is a type of alder, possibly brought by original colonists from England. The wooden addition will ultimately be removed. For the time being, it provides a bit of shelter for a team of archaeologists conducting a dig. Their findings will help tell the property’s story. 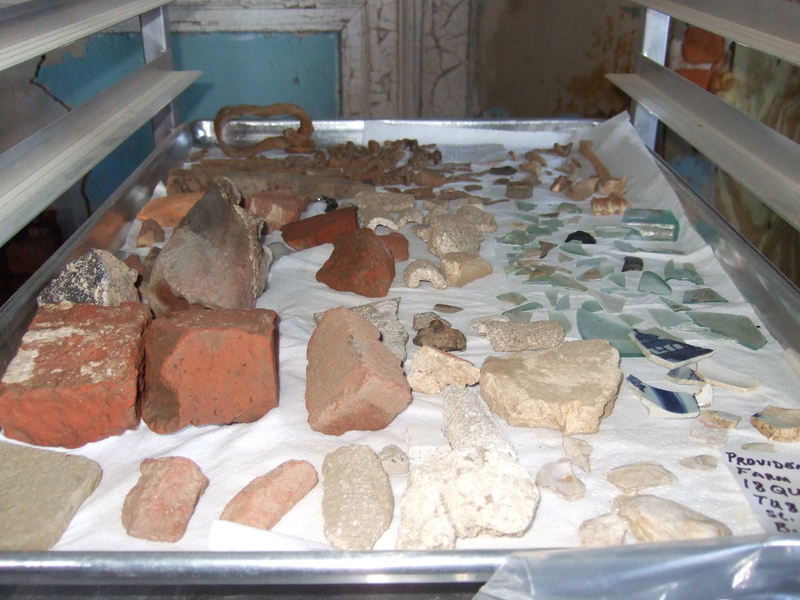 Some of the artifacts discovered on the property. 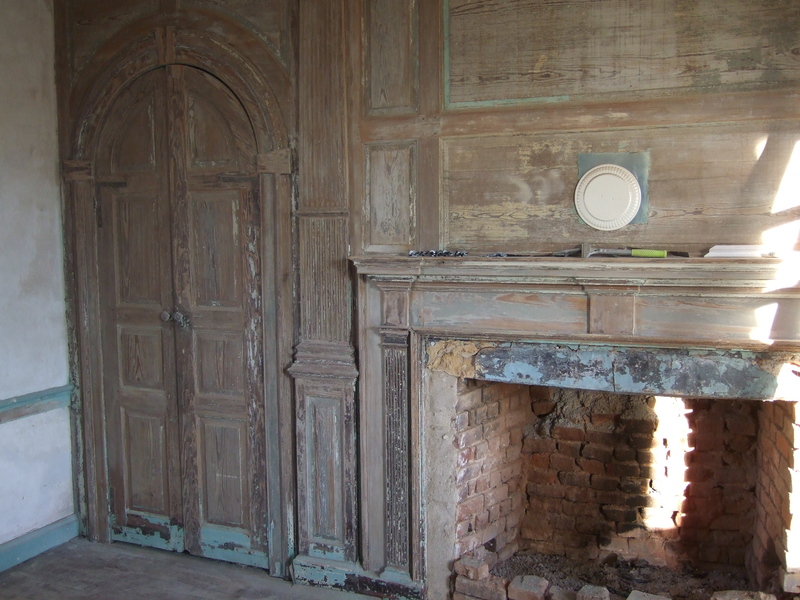 Amazingly enough, much of the hardware and woodwork in the earlier structure are original. Some of the original architectural details. Several outbuildings and barns have been razed. 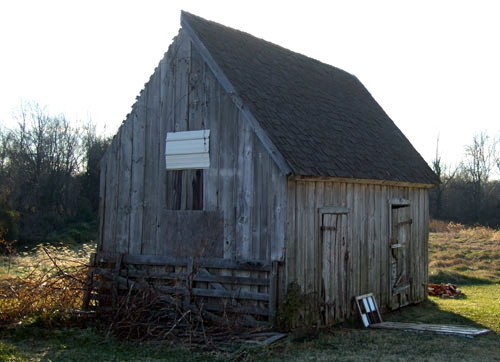 However, a small barn that still exists was built over the original log smokehouse, which has provided a measure of protection. The barn will be removed during the restoration process. 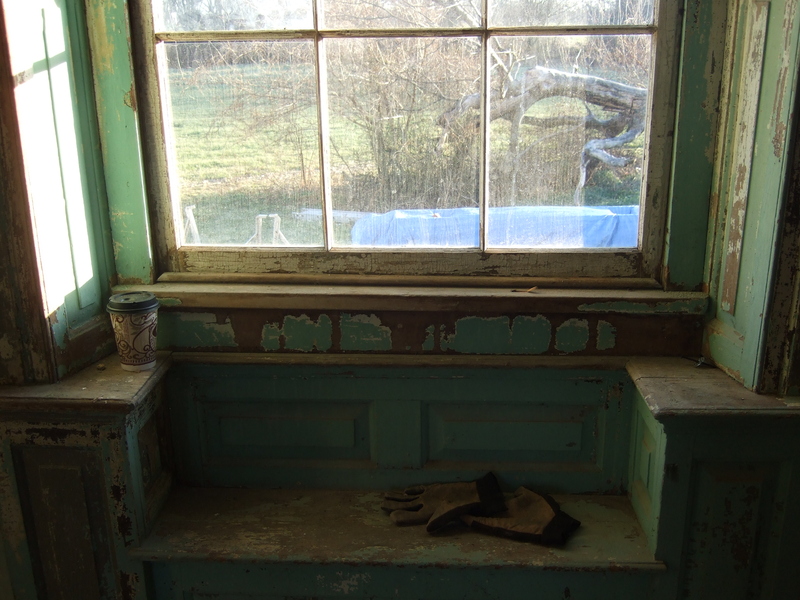 The house is a treasure, and the potential is obvious. Still, most of us wouldn’t have the skills and determination to take on a project this size. This isn’t the couple’s first restoration, however. They know what they’re doing. So here’s to all those visionaries who step in and bring these architectural gems back from the brink of destruction. Who knows what stories they may reveal?